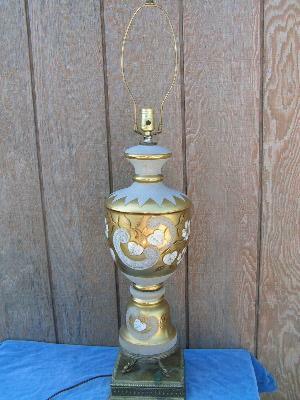 Lovely gold and white glass lamp with ornate metal base, vintage 1950's. This measures 29" tall to the top of the light bulb socket, 38" tall overall. Glass base is in excellent condition, metal fittings have some spotting.